Some photos from Thea Jentjens in Schiphol airport (Amsterdam) before flying to Hong Kong. 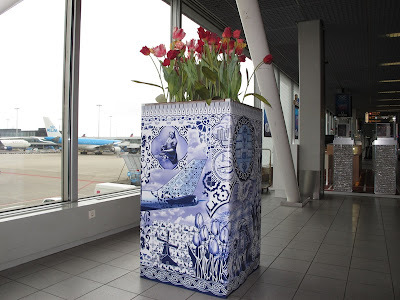 Amsterdam Airport Schiphol: Luchthaven Schiphol (IATA: AMS, ICAO: EHAM) is the Netherlands´ main international airporto, located 20 minutes (9.1 km) southwest of Amsterdam, in the municipality of Haarlemmermeer. The airport's official English name, Amsterdam Airport Schiphol, reflects the original Dutch word order (Luchthaven Schiphol). 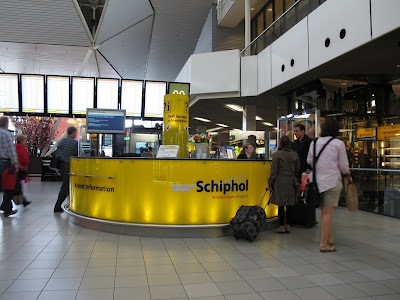 The airport used to have the IATA code of SPL, which has fallen into disuse and has been replaced by AMS.